I’ve been to Atlanta a few times. Just when I thought I’d done and seen all the must-do’s, I discovered I was wrong. On my most recent trip sponsored by the Atlanta Convention & Visitors Bureau, I was introduced to the Buckhead neighborhood of Atlanta. I stayed at W Atlanta Buckhead, which is just a short walk to Lenox Square Mall and neighboring several restaurants and hotels, including the Mandarin Oriental. 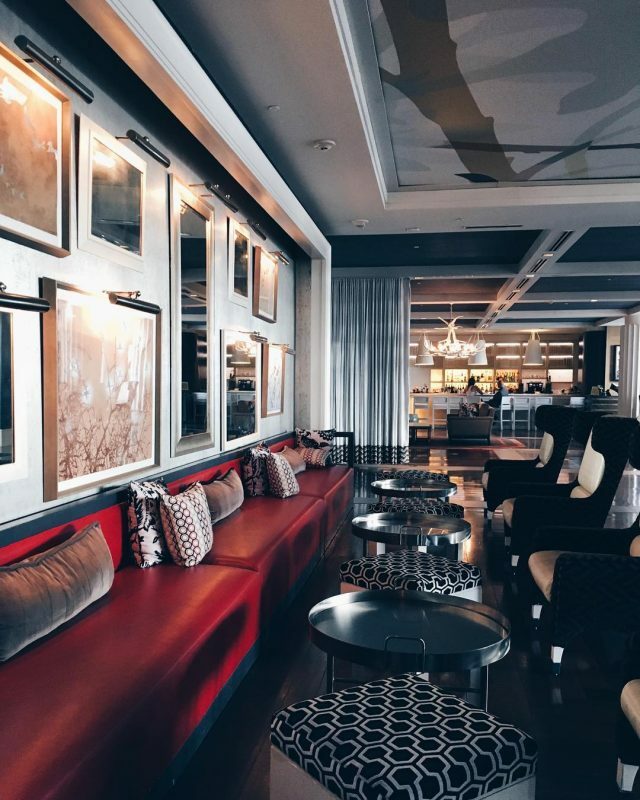 Within the hotel is a hip lobby, called the Living Room, popular rooftop bar and pool and fitness center. One of the neighboring hotels to the W Atlanta Buckhead is The Ritz-Carlton Atlanta. I wanted to have afternoon tea there, but due to timing, was not able to this time. However, I did have time for a quick late lunch in the Lobby Lounge, just steps from their classy lobby. 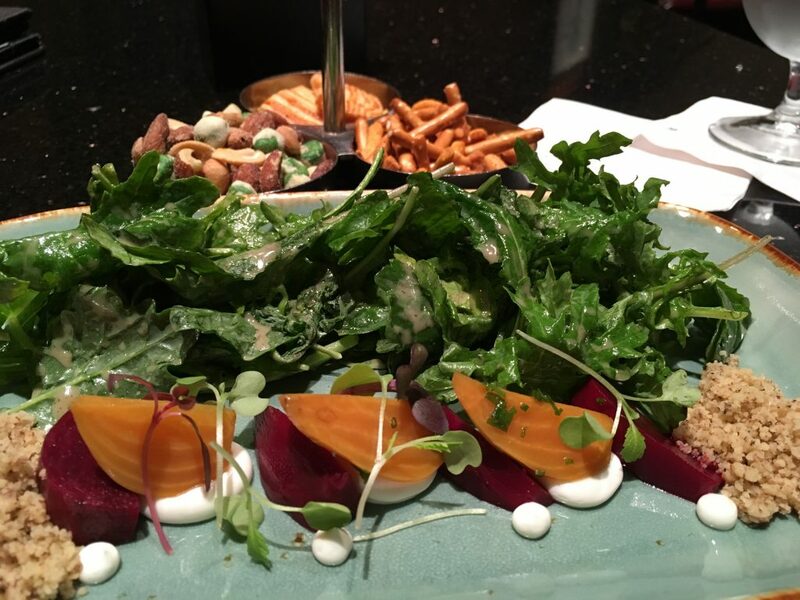 While waiting for a friend I was served some snacks and later ordered a beet salad with goat cheese yogurt, walnut dust, kale, radish and maple-cinnamon vinaigrette. 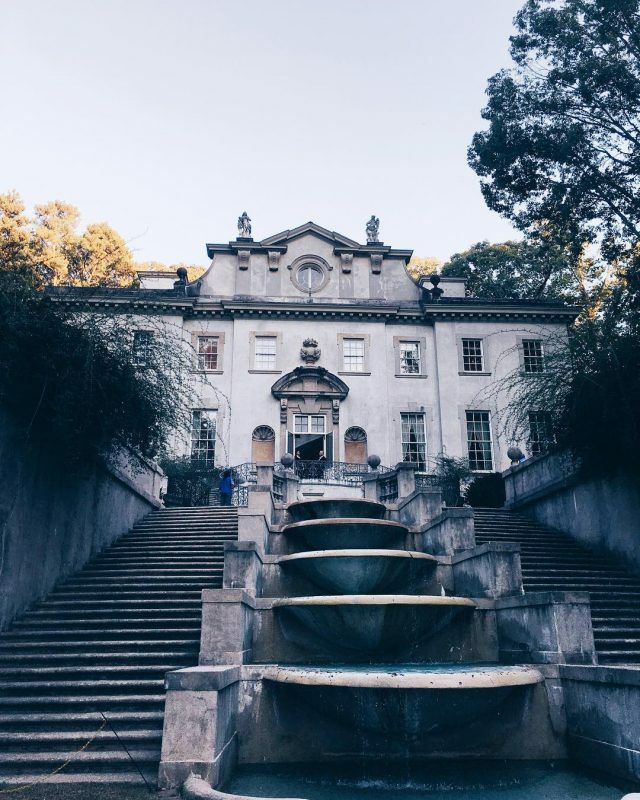 If you’re into architecture and old buildings with an interesting history, you’ll enjoy a visit to Swan House. 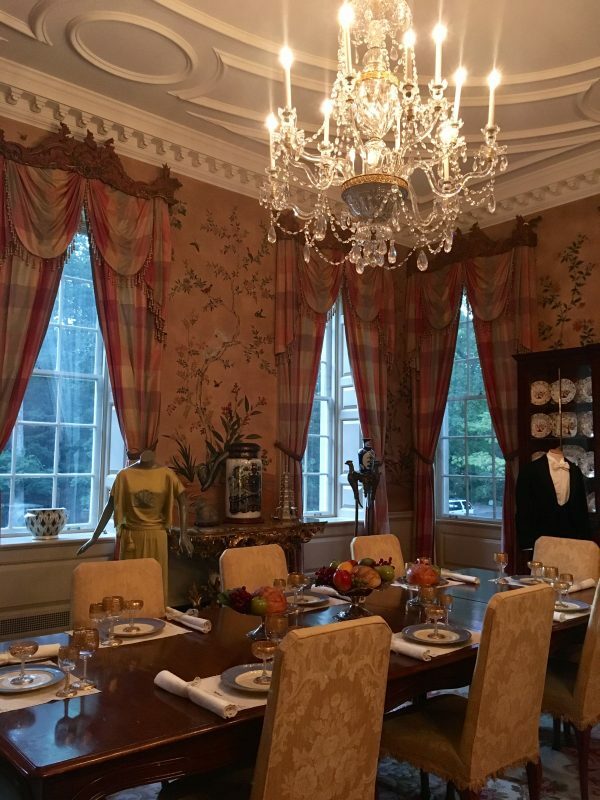 This mansion was built in the 1920s for a family and is now maintained by the Atlanta History Center. Inside the house is furniture, decor and items set as if it were the 1930s. 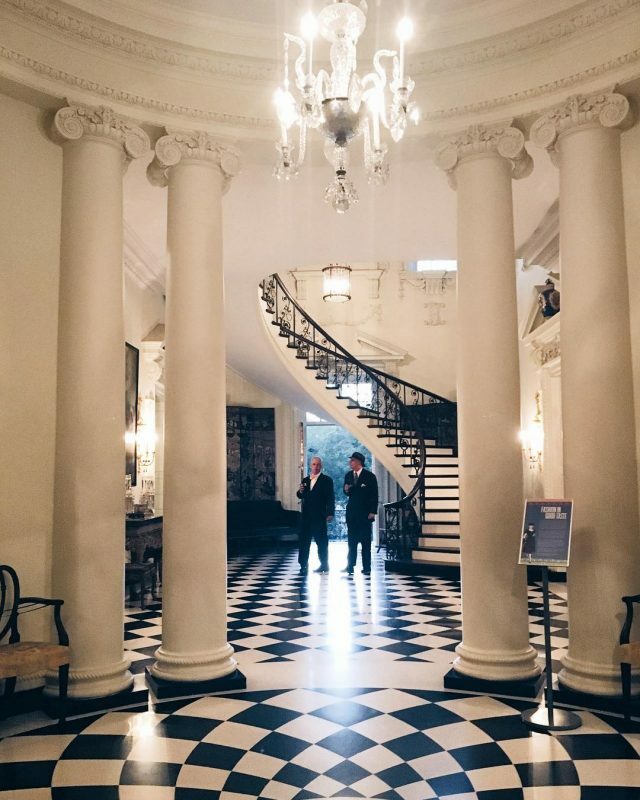 My favorite is the staircase and columns extending from the floor to ceiling. One of the reasons many visit Swan House nowadays is due to the Hunger Games. Scenes in two of the four movies were filmed in the house. 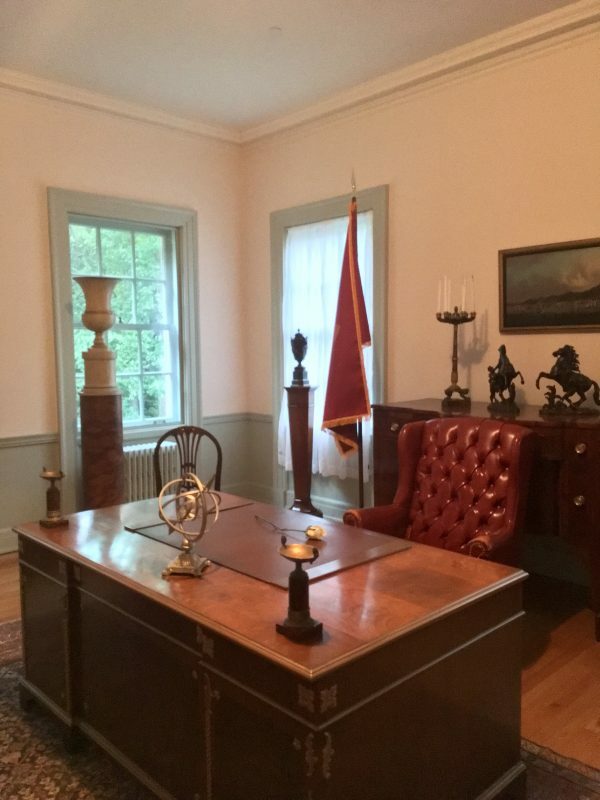 Recognize this desk? 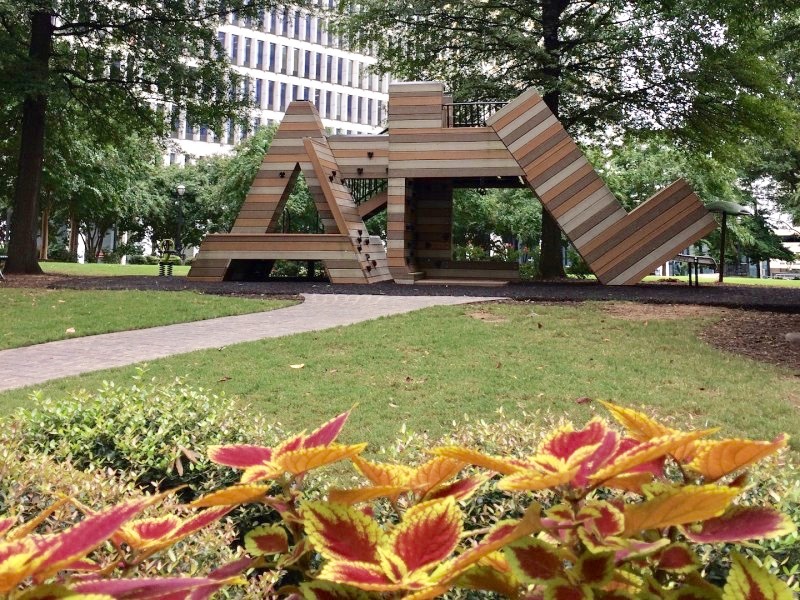 Just a short walk from the house, find out the history of Atlanta at the Atlanta History Center museum. 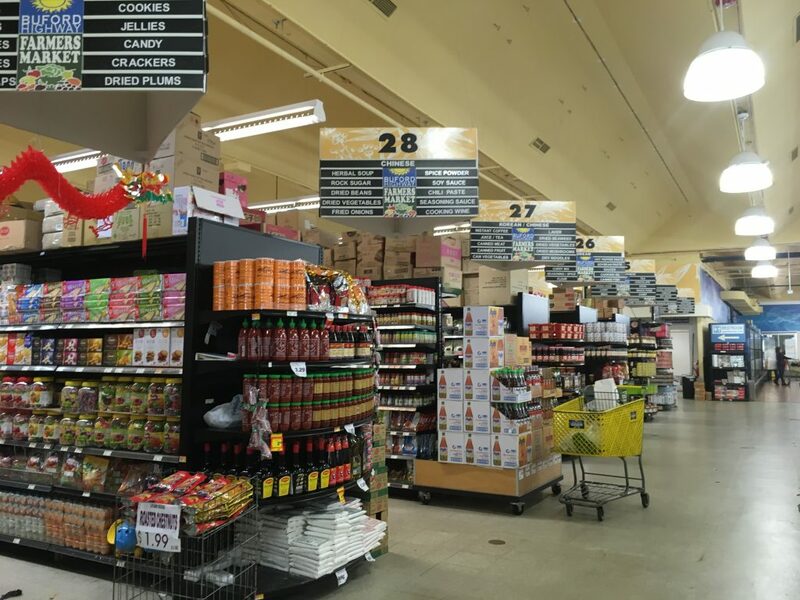 You can find food—packaged and fresh—from all over the world at Buford Highway Farmers Market. It’s about a 15-20 minute car ride from Buckhead but is easily accessible. As I browsed through the markets’ over 25 aisles, I found all the snacks and ingredients I’ve seen in grocery stores I’ve been to all around the world. 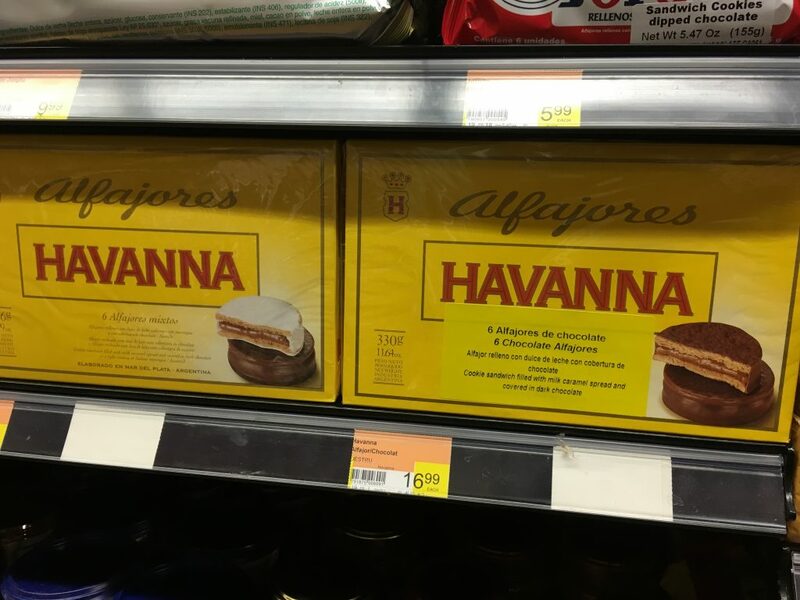 That also includes my favorite Havanna Alfajores from Argentina. 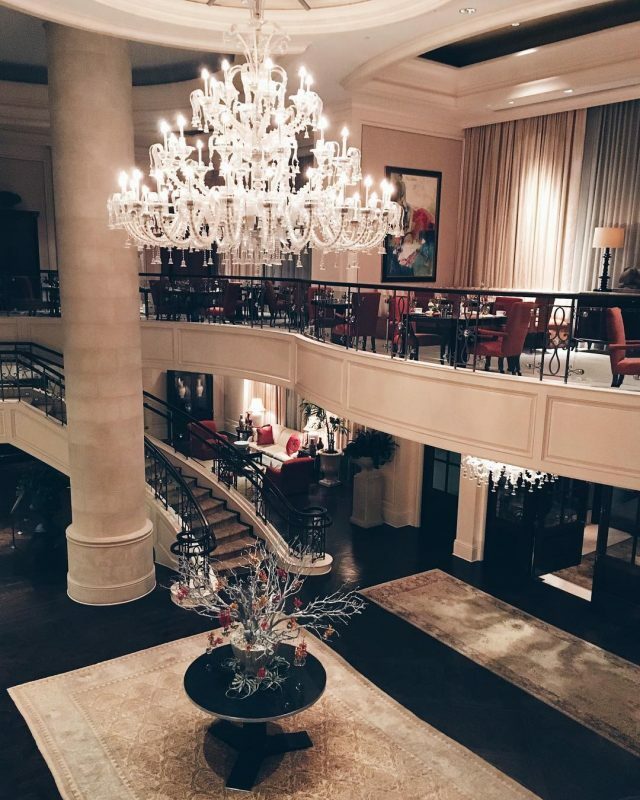 Also in the Buckhead neighborhood is AAA Five Diamond, The St. Regis Atlanta. While I wanted to visit for afternoon tea, I didn’t have time but did have some time to visit the bar. 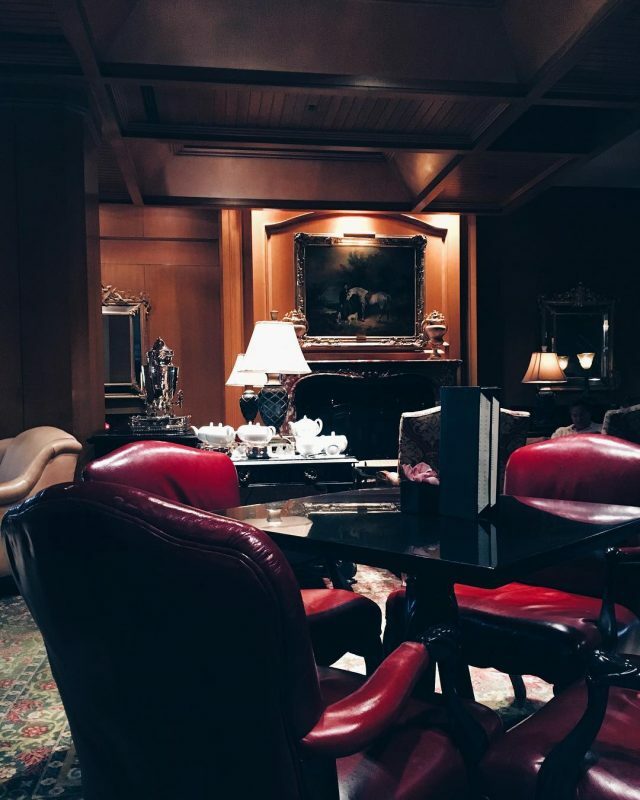 The St. Regis Bar looks like The St. Regis New York‘s bar and also has seating on the terrace. 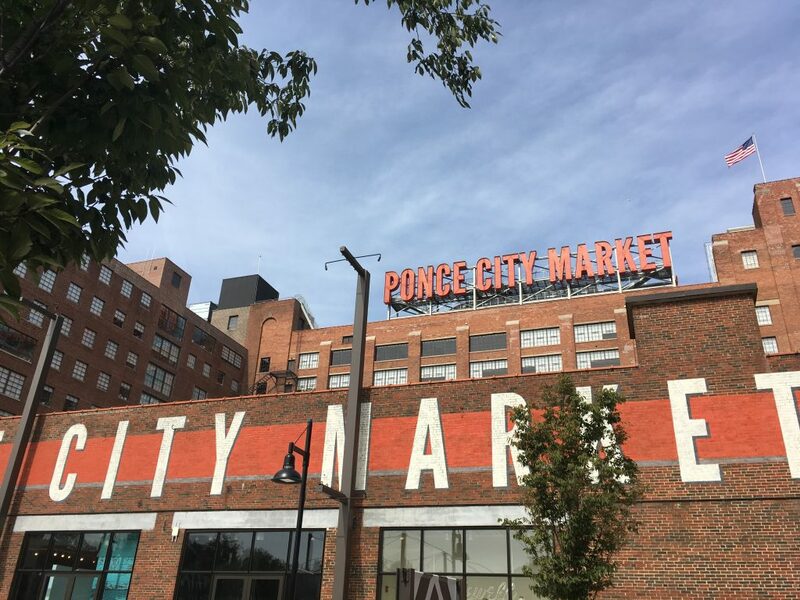 If you’ve been to Chelsea Market in New York City, you’ll see some similarities at Ponce City Market. In fact, it was developed by the same company. This market was once a historic building, and now includes a food hall, stores, offices and even apartments. 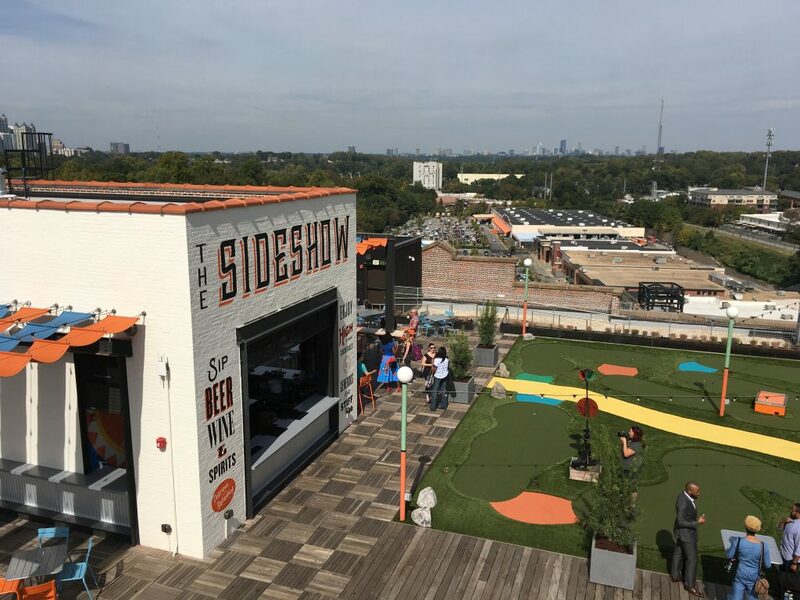 Up on the rooftop is Skyline Park where you can have food and enjoy carnival games. 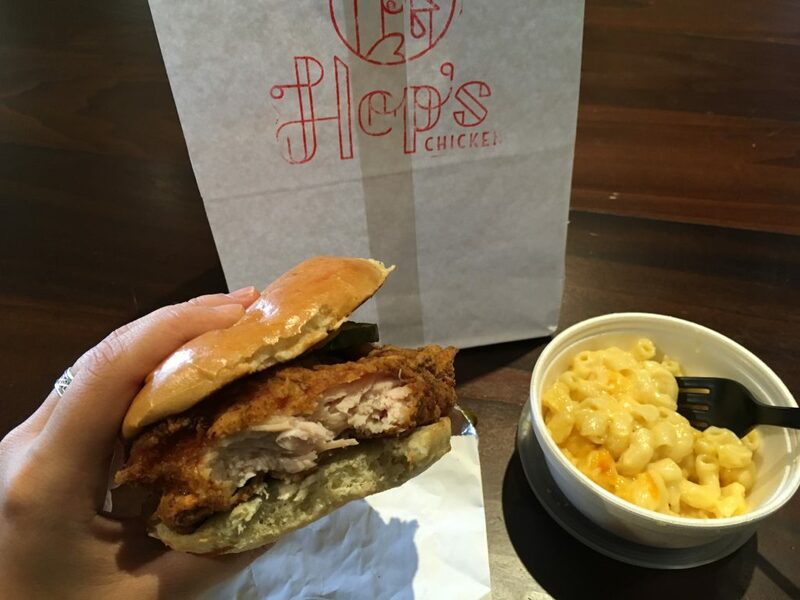 Back inside at the food hall, don’t miss Hop’s Chicken for a chicken sandwich and a side of macaroni and cheese. 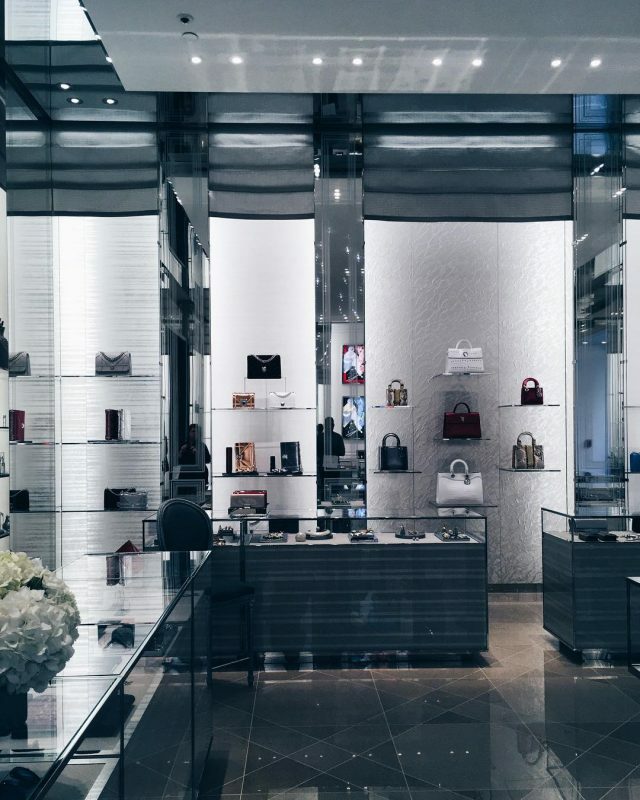 With shops like Canali, Dior and Jimmy Choo, the Shops Buckhead is a destination for luxury shopping. As getting from store to store requires walking outside, this is a fun place to go for a stroll and window shop on a nice day. Note: A big thank you to Atlanta for making this trip possible. As always, all views and opinions are my own.